As Canada's political leaders duked it out in the first of two federal election debates Tuesday, Canadians turned to the internet to throw some punches of their own. Prime Minister Stephen Harper, left, NDP Leader Jack Layton, Liberal Leader Michael Ignatieff and Bloc Québécois Leader Gilles Duceppe take part in the English language federal election debate in Ottawa Tuesday. 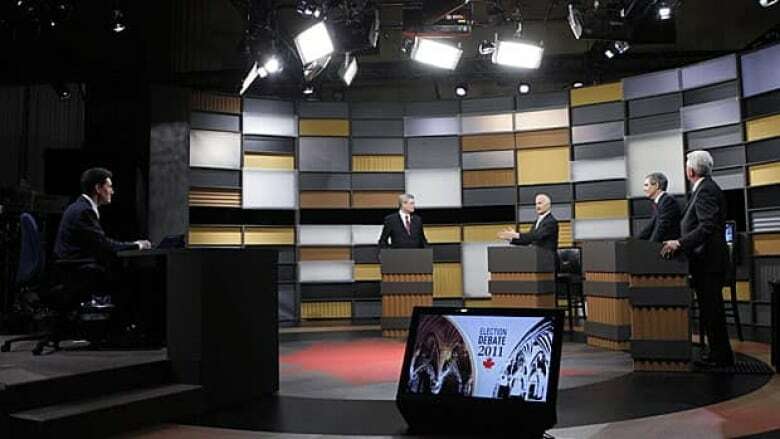 Voters offered both play-by-play and colour commentary throughout the two-hour debate, while the parties used their own Twitter accounts to generate spin. The #db8 hashtag, which Canadians used to discuss the debate, was at one point the second-most popular topic on Twitter worldwide. But there was no consensus on which leader won. "The winner of the #db8 to be [determined] May 2," tweeted Ray Quon of Regina. "I vote @spaikin [moderator Steve Paikin] as the winner for keeping his cool," tweeted Denise Fernandes of Mississauga, Ont. "People use the hashtag symbol # before relevant keywords in their tweet to categorize those tweets to show more easily in Twitter Search." "Clicking on a hashtagged word in any message shows you all other tweets in that category." "Hashtags can occur anywhere in the tweet." "Hashtagged words that become very popular are often Trending Topics." NDP Leader Jack Layton brought Twitter into the debate itself when he referred to "a hashtag fail." Layton was referring to "#fail," a hashtag often added to tweets to express disappointment or disapproval. He also generated Twitter buzz when he used the word "bling " during a discussion about crime. Bloc Québécois Leader Gilles Duceppe was tweeted about so much that his name appeared in the site's "trending" list. That made him a target for spammers, who often add Twitter's trending topics to their tweets to generate traffic. "There's now spam tweets incorporating the 'Gilles Duceppe' hashtag," tweeted Rob Hoadley of Marysville, N.B. "We're through the looking glass, people." Canadians were also quick to repeat and respond to key lines from the leaders. 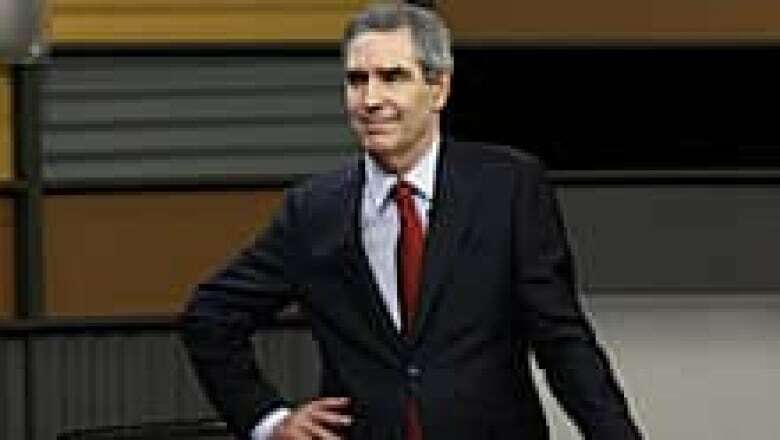 During an exchange about parliamentary democracy, Liberal Leader Michael Ignatieff said "let some flowers bloom, here." That led some, such as Graham Williams, to question whether he was quoting former Chinese communist leader Mao Zedong. "I respect Ignatieff's point, but echoing Mao Zedong's 1957 speech probably isn't wise," Williams tweeted. And when Conservative Leader Stephen Harper dismissed the allegations of contempt against the government in the last Parliament as "bickering," tweeters were quick to respond. "Agree with #PrimeMinister #Harper ... It is bickering," tweeted Jeff Mooney of Ottawa. "Harper's assertion that parliamentary democracy was just 'bickering' was offensive," said Ryan Lebans, also of Ottawa. Politwitter.ca was forced to temporarily shut down due to a large spike in traffic during the debate. All the debate night chatter proved too much for at least one popular Canadian political Twitter site. Politwitter.ca, which aggregates tweets from Canada's politicians and politically active citizens, was forced to temporarily shut down due to an influx in election-related traffic. "The site got a huge spike in traffic and the tweet volume has blown the roof off the barn," a message on the site said. "Unfortunately, I have to keep the site closed so I can concentrate in collecting all the tweets so [analysis] can be done afterwards." The Twitter chatter included something for history enthusiasts as well. The people behind the parody Twitter accounts satirizing prime ministers of yore held their own debate Tuesday, using the hashtag #deadpmdebate. Many of the tweets referenced the 2011 leaders' debate. "This @pmharper character certainly seems like he wants to make Parliament work," tweeted the parody of Robert Borden. "Does he build coalitions like I did?" "I just can't wait until all the railroad questions," tweeted the parody of John A. Macdonald.